Wilderness Medicine is a relatively new field with probably not many practitioners. Many medical specialists in other fields handle emergencies and non-emergency situations that occur in various wilderness or outdoor settings on land, air, and sea. Some of these specialties are: cardiovascular medicine, dermatology, emergency and trauma medicine, environmental medicine, infectious disease medicine, mountain medicine, orthopedics, pulmonary medicine, and tropical medicine. Dr. David R. Shlim, a practitioner in wilderness medicine, who wrote the Foreword to this book and is author of Medicine and Compassion: A Tibetan Lama’s Guidance for Caregivers, writes that this field had not even begun to evolve before the 1980s. He relates to us a likely life-saving experience he once had while he was on a trans-Pacific flight to Hong Kong where his knowledge came to very good use. A 22-year-old American soldier was suffering from an extreme allergic reaction to peanuts. “He was so itchy he could not sit still. The reaction had been going on for 45 minutes,” he recalls. He writes that the pilot of the plane told him that if needed, he could land the aircraft at Anchorage Airport, which was close by. Dr. Shlim asked a flight attendant for a first aid kit that typically contains epinephrine and an antihistamine tablet. To his disbelief, there was no first aid kit being carried on the aircraft! So he asked that an announcement be broadcast over the speakers if anyone had a bee-sting kit. Luckily, three people had such kits. So he took the diphenhydramine in the kit and injected it into the soldier. The soldier’s condition quickly improved. The point of this story is that one only needs a critical piece of information to provide relief and possibly save someone’s life. Fortunately, the Belgian engineering graduate Alec Momont recently developed an ‘ambulance drone’ equipped with a defibrillator that reached someone in time in The Hague, who was having a heart attack. Momont pointed out that more than 800,000 people have a heart attack in a year in the European Union. “Wilderness” can probably now be redefined from an ‘inaccessible area’ to an ‘inaccessible in time” area. 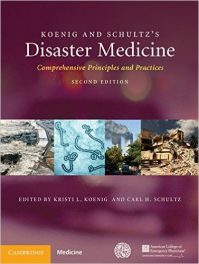 More than 200 specialists in various areas of medical-surgical and non-medical fields, from the United States and these eight other countries – Australia, Canada, Japan, Peru, Nepal, New Zealand, South Africa, and United Kingdom – wrote the 114 chapters of the sixth edition of this massive tome. It is interesting for us to note some of the diverse occupations and professions of the contributors to this book: altitude research, avalanche control, biology, disaster risk reduction, diving, emergency response, entomology, environmental management, exploration, firefighting, fire management, geography, marine safety, meteorology, mountain climbing, oceanography, prolotherapy, rescuing, sailing, shark research, survival training, traditional healing, venom immunochemistry, and volcanology. A lot of specific knowledge and experience is necessary these days, to save lives. In terms of the backgrounds of the chapters’ authors, while most of them are doctors and surgeons and some nurses, we also have a number of people in organizations such as the American Red Cross, the United States Air Force, the U.S. Army, the U.S. Coast Guard, the U.S. Navy, the National Park Service, various State Parks, and the Peace Corps. For technical assistance, email: online.help@elsevier.com or call 800-401-9962 (inside the U.S.) or 1-314-995-3200 (outside the U.S.). Be prepared for everything with new and expanded coverage of topics such as high altitude, cold water immersion, frostbite, and poisonous and venomous animals and plants. Acquire the knowledge and skills you need now with new information on global humanitarian and disaster relief, expedition medicine, and rescue, plus expanded coverage of improvisation, injury prevention environmental preservation. Be able to practice medicine when responding to emergencies and other situations away from the traditional hospital / clinical setting, whether you are in remote environments, underdeveloped but highly populated territories or disaster areas; are part of search and rescue operations, or dealing with casualties from episodes of extreme sports and active lifestyle activities. 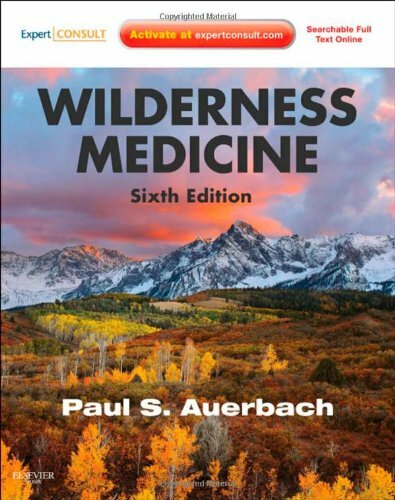 Face any medical challenge in the wilderness with expert guidance from the outstanding contributors assembled by Dr. Auerbach, the world’s leading authority on wilderness medicine. 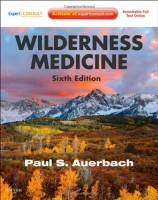 This is very likely the best and most comprehensive resource on wilderness medicine in the world. Paul S. Auerbach, MD, MS, FACEP, FAWM is Redich Family Professor of Surgery in the Division of Division of Emergency Medicine in the Department of Surgery at Stanford University School of Medicine in Stanford, California. PreviousBook Review: Fanaroff & Martin’s Neonatal-Perinatal Medicine: Diseases of the Fetus and Infant, 9th edition. Volumes 1 and 2. 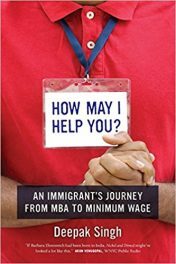 Book Review: Are You Ready to Sell?